Debt collectors are not Exempt Enforcement Officers or Certificate Enforcement Agents (formerly collectively known as bailiffs). Debt collectors have not special legal authority and are not allowed to do things such as enter your home without your permission or take items from your home. Debt collectors typically work for debt collection agencies, but can also be employed directly by the creditor or work as independent collectors for hire. 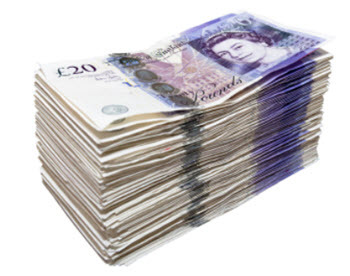 Today, high street lenders typically refrain from using debt collectors since it is an expensive way of trying to encourage someone to pay their debts. Calling and sending letters is less costly, and there is always the option of taking the issue directly to court without sending any debt collectors first. Debt collectors that make home visits are also known as doorstep collectors or field agents. What are debt collectors allowed to do? When dealing with debt collectors, it is important to know your rights and the rights of the debt collector. Most debt collectors are reasonable and will leave right away if you inform them that you wish to deal with the creditor or collection agency by phone or writing instead. There are however also debt collectors that are pushy. Some will try to make you believe that they have more legal authority than they actually have. They are not allowed to lie about their powers or claim to be Exempt Enforcement Officers or Certificate Enforcement Agents, but some will employ various shady techniques in an effort to make themselves seem more powerful than what they are without overtly breaking the law. Are debt collectors allowed to pay a visit to where I live? A debt collector is allowed to knock on your door or ring the door bell, but you have no duty to open for them or even acknowledge them. If you prefer, you can talk to them through a window to avoid having to open the door. Completely ignoring them is permitted and they are not allowed to use force to enter your home. Are debt collectors allowed to force their way in to my home? No, they are not allowed to enter your home without your permission. They are not allowed to break in, use force or brush pass you. Nor are they allowed to use intimidation to gain access to your home. Are debt collectors allowed to stay in my home if I ask them to leave? Just because you’ve let a debt collector into your house, that doesn’t mean that they are now allowed to stay there indefinitely. You can revoke your permission at any time. Simply tell the debt collectors that you wish for them to leave your home right away, and they must follow your command – just like any other person without special legal rights must. Debt collectors do not have any special legal rights to remain in a home after the person living there has told them to leave. Are debt collectors allowed to ask for a cash payment? Yes, they are allowed to ask and to accept a cash payment. You do however have absolutely no obligation to grant them their wish for a cash payment. You have a duty to repay your debts, but you can do that directly to the creditor or to the collection agency. If you decide to make a cash payment directly to a debt collector, always ask for identification, write down their name, and make sure you get a detailed receipt. Not paying directly to debt collectors is safer, since it reduces the risk of being scammed by imposters. Also keep in mind that if you pay cash to a debt collector once, they are more likely to keep visiting your home to pester you for another payment (unless the debt was paid in full). Are debt collectors allowed to talk to my family members / flat mates / neighbours about my debt? Debt collectors are only allowed to speak to you about your debts, and they should do so discreetly. If someone else answers the door, they should simply ask to see you – without divulging any information about your debt situation. Debt collectors are not allowed to discuss your debt with other family members, people you live with, neighbours, the landlord, etc. Please note that if two or more people are jointly responsible for a debt, the collector can talk to any of them about the debt. Are debt collectors allowed to take any of my belongings? No, debt collectors are not allowed to take any of your goods. Are debt collectors allowed to take or sell my investments? No, Debt collectors are not allowed to take or sell your investments. Although it is possible for a creditor to force the sale of a property or an investment. This can however only be done through the court system. The creditor needs a charging order from a county court judgment (CCJ). With this he can return to the court and ask for the court to force a liquidation of a property or investment to get the money they are owed. Debt collectors and bailiffs can not do this on their own. The process to force a sale can be lengthy and it is nothing you need to worry about if you are dealing with short term trading such as Day trading or CFD trading. It is highly unlikely that a creditor will be able to force you to exit a position prematurely. Are debt collectors allowed to clamp my car? No, debt collectors are not allowed to clamp your car or any other vehicle. How should a debt collector behave? 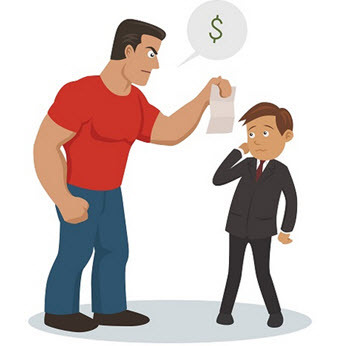 Debt collectors are not allowed to act in a threatening or intimidating fashion. They are not allowed to cause a scene or a disturbance. The debt collector claimed to be a bailiff / certificated enforcement agent / exempt enforcement officer! That is a criminal offence and you should file a complaint with the police. Please note that it is a criminal offence; it is not simply a transgression of the Credit Services Association guidelines or similar.